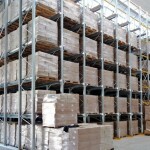 The Drive-In Drive-Through systems provide you with maximum storage capacity using the minimum amount of space. 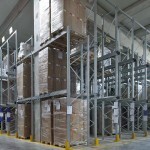 It is particularly suited to the storage of very large quantities of the same product. 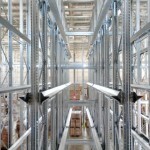 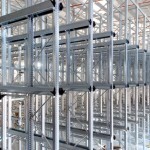 This system consists of continuous rows of racking with no aisle in between. 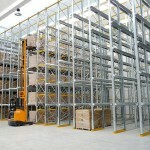 Loading and unloading are facilitated by means of counter balance or lift trucks, which can drive into the racks. 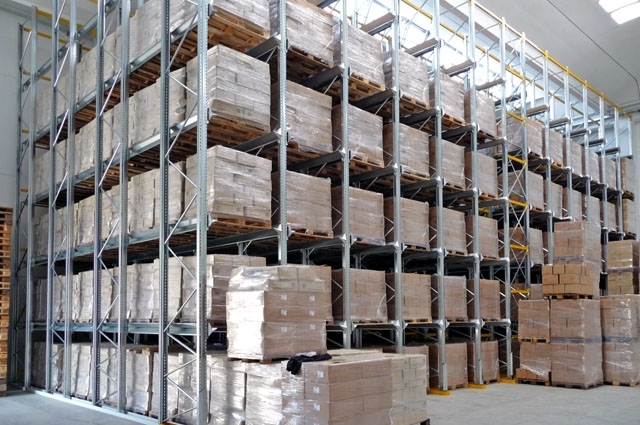 For Drive-In racking, picking and replenishment is done from one side only, while for Drive-Through racking, both sides of the racking are used. 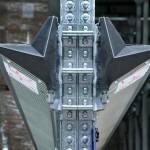 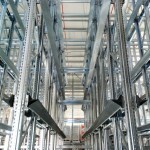 Drive Through racking offers the advantage that picking and replenishment can take place independently of each other. 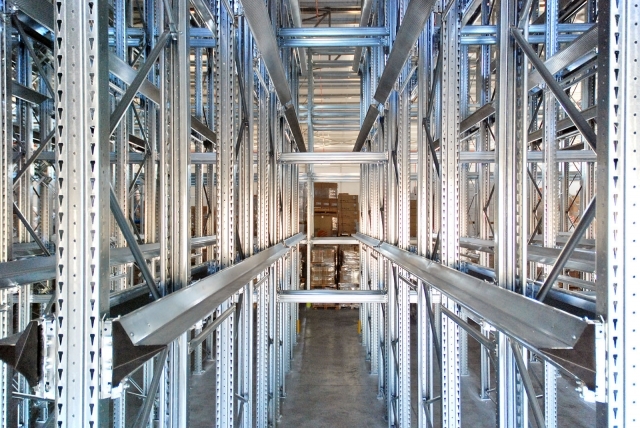 Drive-in and through racking offers maximum productivity with multiple depth storage, with support rails to allow easy access for forklifts to enter the racks to reach high blocks of pallets. 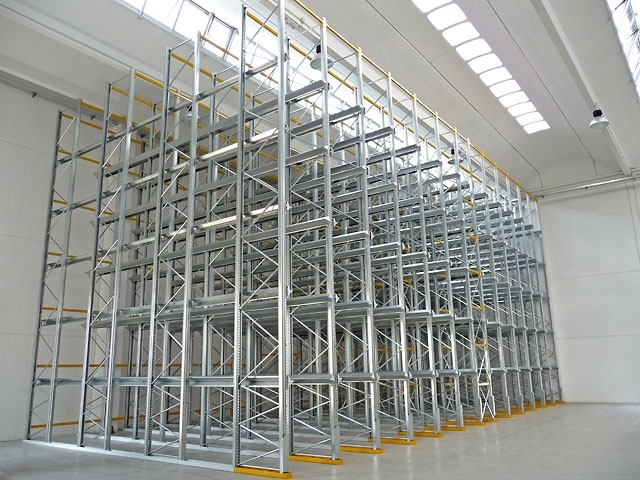 This free-standing and self supporting structure offers high density storage increasing floor utilisation by 50% and allows access from both sides. 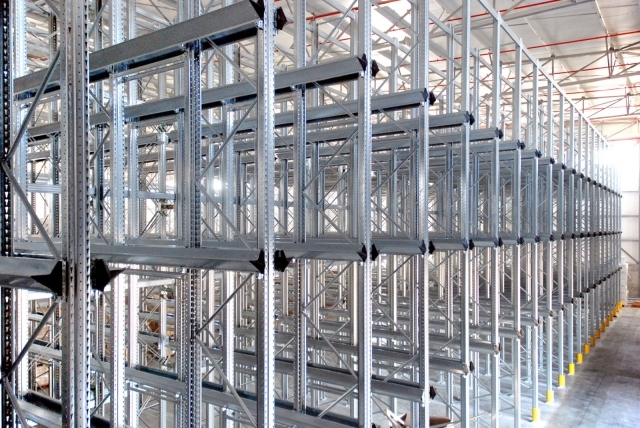 Drive-in racking allows the maximum use of space and volume due to the elimination of access aisles. 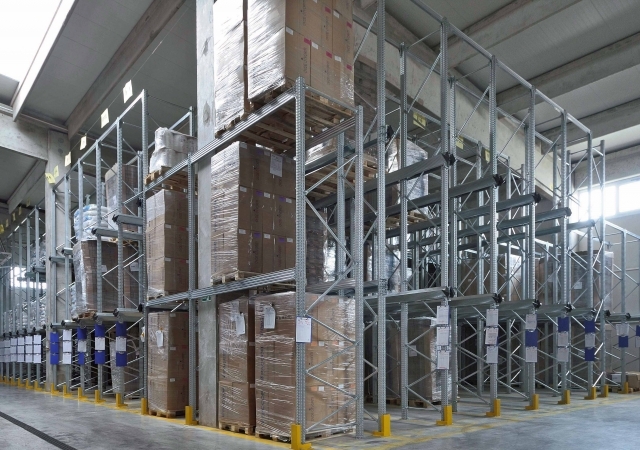 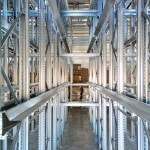 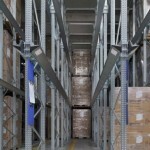 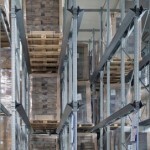 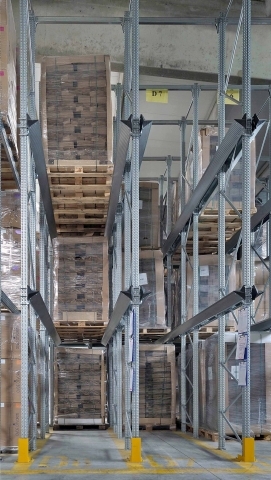 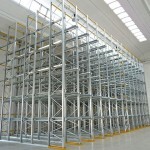 The storage volume is therefore more than doubled compared with standard pallet racking. 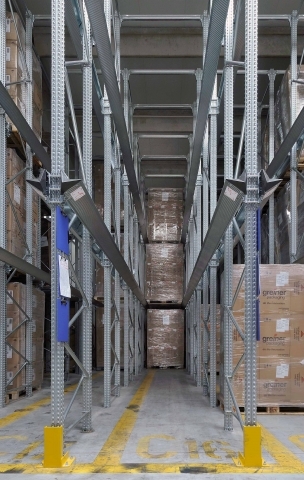 Ideal for cold storage and dry store goods, drive-in racking is suitable for businesses that have high pallet quantities, but don’t require fast stock rotation and immediate accessibility. 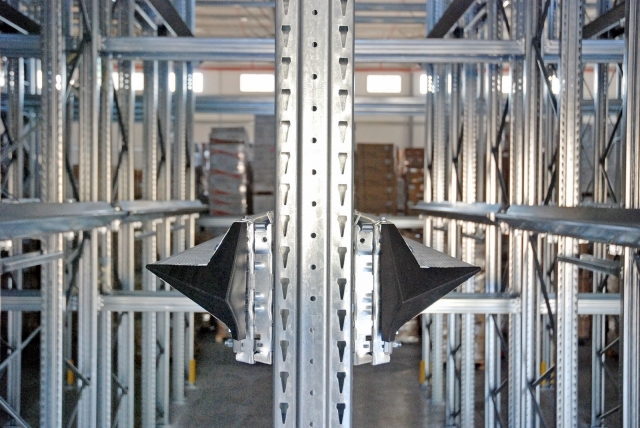 Unique self-centring pallet rails enable pallets to be positioned quickly and safely, reducing operator time. 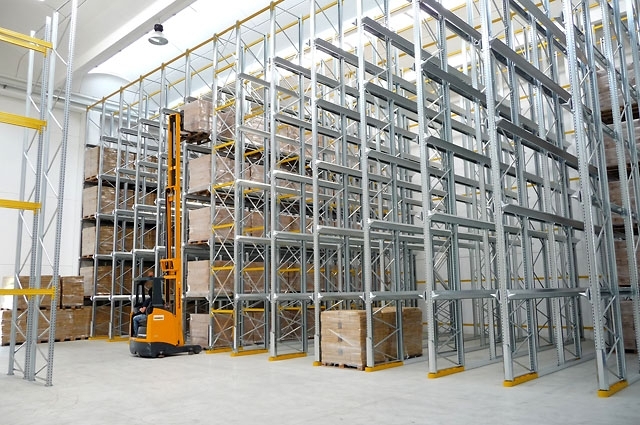 Conventional forklift trucks are suitable for access to stock within drive-in racking. 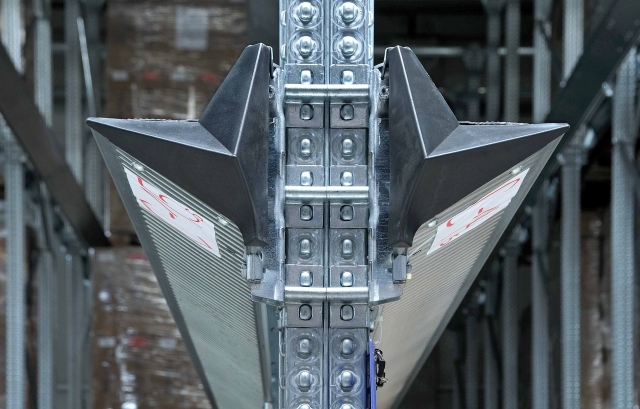 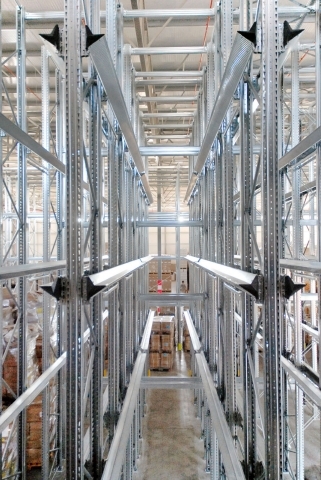 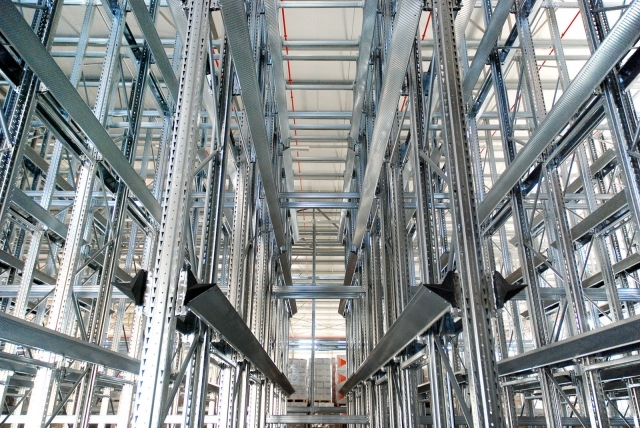 Drive-in racking operates on a First-In Last-Out stock rotation basis. 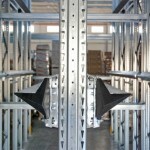 Drive-in and Drive-through systems can be made using the Super456, Unicant, SuperBuild, or UniBuild product lines.